Dreamfields Guesthouse is the perfect base for a visit to the world renowned Kruger National Park, which is only 10 km away. The Blyde River Canyon with its spectacular view points, like God`s Window and the Bourke`s Luck Potholes and beautiful waterfalls are a mere 30 min drive. Due to the subtropical climate with hot summers and dry, warm winters, Hazyview is an all-year-destination. As well as the main attractions, Hazyview offers a lot more activities like Golf, Quad Biking, River Rafting or Hot Air Ballooning. The Kruger National Park truly falls into the ‘must see’ category and offers a wildlife experience that ranks amongst the best in the world. Experience a unique view of South Africa’s largest and most famous game reserve in a specially designed open safari vehicle accompanied by an experienced Field Guide. There is the choice of either a morning, afternoon or full day game drive. You will be picked up from Dreamfields Guesthouse and for the Morning and Full Day drive we will provide a packed breakfast for you. Experience an exciting tour of the Kruger National Park, which is unrivalled in its variety of wildlife – 147 species of mammals and more than 500 species of bird recorded. The guides will enthrall you with their passion and knowledge of the bush and its inhabitants and will try their utmost to find wildlife. Depart from Dreamfields Guesthouse in the afternoon for an evening of adventure. With breathtaking scenery, rich biodiversity and amazing wildlife encounters, Sabi Sand Game Reserve is the ultimate safari destination. It is situated on the western border of the Kruger Park, all fences between the Sabi Sand and the Kruger Park have been taken down, the animal are free to roam. You enter the famous Reserve to arrive at a private Lodge where tea, coffee and biscuits will be served. As you head off into the bush, your ranger will share the beauty and intrigue of the African Bush with you. He will also share some of the myths and beliefs of times gone by, pointing out various interesting medicinal and herbal plants and shrubs. Naturally game viewing en route. As the light dims, you stop for sundowners, and your ranger will prepare the vehicle for nightfall, which will involve spotlight driving back to the lodge, looking for the unusual nocturnal wildlife, which one is sure to encounter. On arrival back at the lodge, time to freshen up and get settled for a typical South African Boma dinner around the ever-indulging campfire. After dinner you start heading back to Dreamfields Guesthouse. Apart from the Kruger National Park, the Panorama Route is one of the most beautiful and popular travel destinations in South Africa. Only about 35 km from Dreamfields Guesthouse you get an excellent opportunity to see some of Mpumalanga’s most spectacular scenery. Go on a self-drive or organized full day or half day tour, winding your way through pine and eucalyptus forests whilst discovering some of Mpumalanga’s most awe-inspiring scenery and breathtaking views. Your tour will take you to the Blyde River Canyon, the third largest canyon in the world, including visits at spectacular sites such as God’s Window, Wonderview, Bourke’s Luck Potholes, with its extraordinary rock formations, the Three Rondavels and some of the most beautiful and refreshing waterfalls of the region. 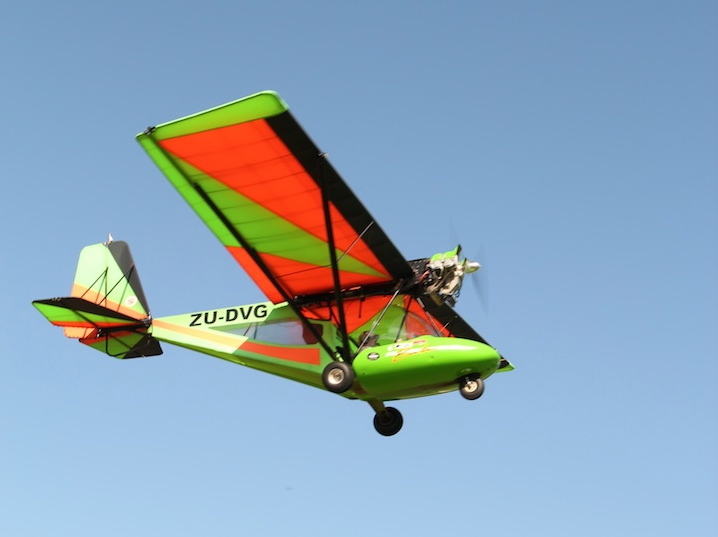 Aviation Adventures Flying Club offers club membership to the public entitling them to scenic flights in SA’s most popular light aircraft – the Bantam B22J microlight. Flights range from 10min to 45mins over wonderful scenic country including the Sabie River valley, Da Gama Dam, Klipkoppie Dam, Longmere, Witklip dam and the Sabaan River valley. Customised flights are also available. Best flying times are early mornings and late afternoons although we operate from sunup until sunset – weather permitting. For bookings call Daveen on 083 310 5293 or talk to the receptionist at the guesthouse. Prices available on request and brochures available at reception. The residents of the traditional villages of Shangana invite guests to share in the way of life of the Shangaan people. A bustling African market village forms the centre of Shangana, where local craftspeople make and trade their craft. From here, trained guides lead guests down to villages on daytime tours, we recommend the famed Evening Festival in the Chief’s Kraal. The Chief and his family host the Evening Festival, where choirs, actors and dancers gather to tell the story of the Shangaan people. It is a spectacular and moving experience, which shows the enormous talent of the people from this region. During or after the show, traditional beer and great wooden trays with local delicacies are passed around. Experience the freedom of gliding over one of the last remaining natural forested valleys along the Sabie River adjacent to the Kruger National Park. The aerial cable trail takes you down into the valley basin, stopping along the way on a number of elevated platforms to admire the natural vegetation, birdlife and the views of the forest floor below. The cable trail gives you a unique perspective of the environment. And as you descend through some of the most spectacular scenery in this region, and with the sound of running water always in the background it is sure to be an experience you will never forget. Each section of the trail varies in length from 70 to 230 meters linking a total of 10 platforms, making this the longest cable trail in Africa (1,2km). The trail has been designed and built to South African civil engineering standards and all the equipment has been designed specifically for this activity and tried and tested worldwide. All groups are escorted by qualified guides. The Elephant Interaction offers you the opportunity to meet elephants and learn about their backgrounds, behaviours, characters and more. You can touch the elephant’s skin; feel the different textures on both sides of their ears and underneath their feet and also offer tasty elephant treats to your hosts. Experienced Elephant Handlers will share their in-depth knowledge of fascinating elephant behaviour. Elephants are highly intelligent and delightful – when meeting them you will discover that each one has a different character, personality and temperament. The Quad Biking adventure will exceed all your expectations. Trails run through the most scenic Sabie River Valley, winding along the Sabana River, indigenous vegetation, mountain hills and other streams. The tracks vary from technical to very easy, so it is suitable for the expert as well as the beginner! River Rafting is offered on the Sabie River which provides 20 rapids (grade 2–3) with areas of scenic vegetation and outstanding wildlife viewing. This 8 km route is yielding to the novice, yet accommodating to the thrill seeker within all of us. Geckoiing is the by far one of the best adventure activities that humans came up with – it rocks! This is probably the best way to descend a low volume river like the Sabie. A Gecko is a very small raft that you steer with webbed gloves, no paddles needed! It is very easy to steer and very safe, and one of the coolest ways to have fun with family and friends in the sun and water! All activities can be arranged prior to your arrival. Please do not hesitate to contact us for further information.